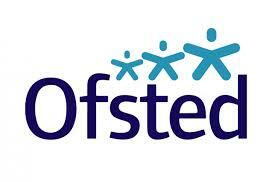 As the Managing Director of Minibugs Nurseries, I have the great pleasure of confirming the outcome of the Ofsted Inspection which took place at our Liskeard site on 21 September 2018. Our nursery has officially received a rating of Good in all areas. We have received some fantastic comments within our report and found the inspection to be a really positive experience, giving us an opportunity to highlight many of the areas that we are proud of. The ‘Good’ judgement is wholly deserved by the Nursery Manager, Sam McCarthy, and her team who work tirelessly to make sure our children and parents are happy and can thrive in our care. Although we are really pleased with our ‘Good’ rating, we will not stop there. At Minibugs we have a constant desire for improvement. We have a detailed development plan in place to map the enhancements we are due to make to enable us to continue on our journey to outstanding. Confused about your Childcare Choices?